Seasonal changes, stress, hormone levels heightened due to puberty, pregnancy or menopause, etc. These are some triggers that can causes a surge in hormones, stimulating the oil glands to increase oil production. When your skin lacks moisture, it tries to compensate by producing more oil, therefore dehydration can also cause oily skin. Oily skin may have an uneven, shiny texture which looks sallow, has visibly enlarged and clogged pores, and may be susceptible to breakouts. 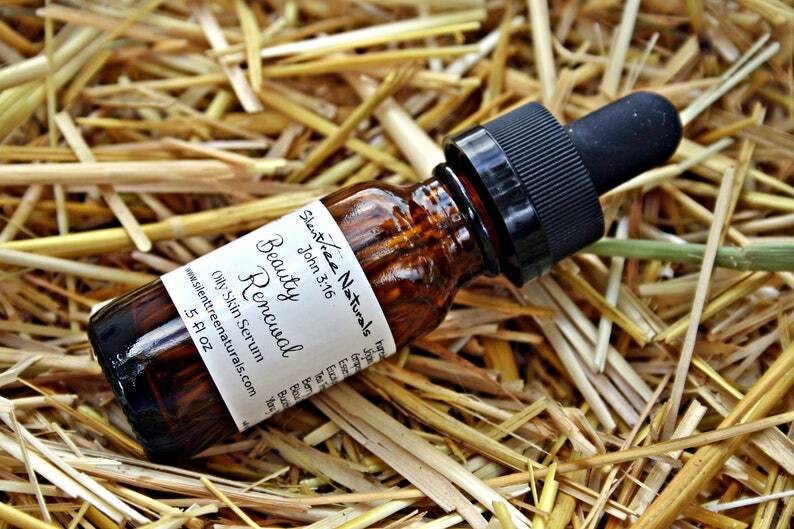 Beauty Renewal Oily Skin Serum is rich, nourishing, and packed with vitamins and essential fatty acids. Jojoba Oil balances sebaceous glands and natural oil (sebum) production and signals the skin not to produce more oil. Tamanu Oil contains significant antimicrobial, anti-fungal, bactericide, and anti-inflammatory properties. It promotes new tissue formation, accelerates healing and healthy skin cell regeneration. The essential oils were chosen for their specific skin-nurturing and therapeutic properties. This serum can be used day and/or night, after cleansing and toning.